Legend has it that when the Zulu King Shaka tasted the water in 1828, he said ‘Kanti amanza mtoti’, meaning ‘So, the water is sweet’, from where the name of Amanzimtoti originated and also marks the start of it’s colourful cultural heritage. For decades Amanzimtoti was included within a colonial-decreed ‘Native Reserve’, a circumstance that endured until 1928, when it was surveyed as a ‘White Town’. During the intervening years the settlement witnessed the railway’s official opening in December 1897, the construction of its first hotel early the following year and the hotel’s destruction by fire one year later. A Station Master was appointed in 1902 and this placed Amanzimtoti firmly on the map as a holiday destination, and within another 30 years it grew to more than 700 European inhabitants, with only Port Shepstone a little bit more to the South having more. Municipality status was achieved in September 1952, about 50 years after arrival of the first Station Master. Currently it falls under the eThekwini Metropolitan Municipality. Today, Toti, as most commonly known by South Africans, is a town offering almost everything that today’s most sophisticated traveler might require, hotels, guest houses, privately rented flats, it’s all there. 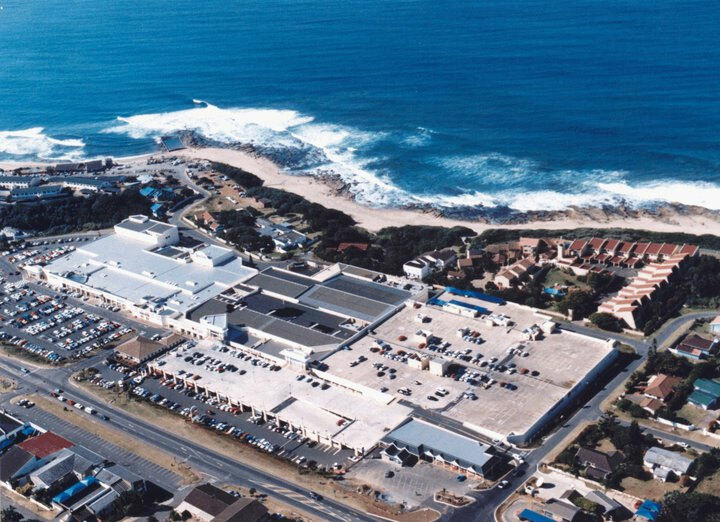 Being only about 14 KMs from the Durban international airport it also offers easy access from anywhere in the world for business visitors. The Comrades Marathon is another world wide known event taking place in South Africa for which Amanzimtoti is ideally situated. Toti offers superb white sandy and scenic beaches with numerous safe swimming facilities, unsurpassed rock, shore and deep sea fishing. All beaches offer safe swimming (offshore shark nets), wide stretches of sand and gentle lagoons. Winklespruit, Inyoni Rocks and Pipeline beach are perfect for the whole family. Whether swimming in the ocean, fishing, surfing, or playing volleyball on the beach there is something for everyone. All beaches are monitored by lifeguards during the day. If you’re an early riser, you can watch the Sharks Board ski-boats launch for the daily checking of shark nets. 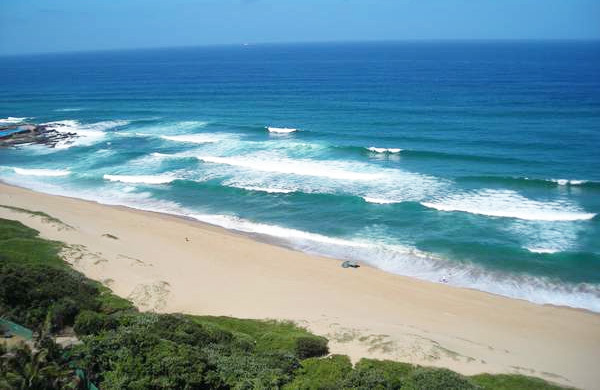 The Kwazulu Natal region’s coastline of +-160 Kilometer’s, south of Durban is well known as a holiday playground. The warm Indian Ocean sea water temperature on average is 22 degrees Celsius, enjoyed by swimmers all year round. 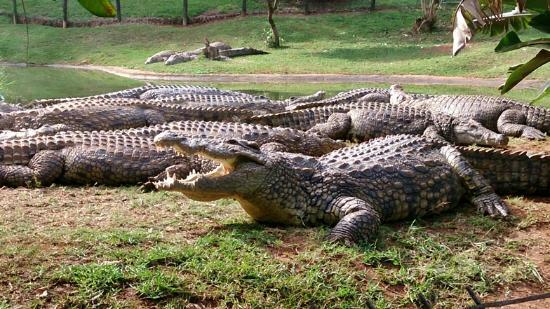 With it’s diverse fauna and flora and tranquil natural beauty it offers just as much inland as it does on it’s beaches. Toti is also renowned for watersports such as surfing, paddle skiing and windsurfing. Ski boat trips can also be arranged. Around July the extremely popular annual Sardine Run takes place, you can grab a bucket and join in the excitement of scooping up these little fish as they beach, if you don’t, you’ll definately want to sit down and watch the birds dipping and diving after the fish. A few Nature reserves like Umbogovango Nature Reserve, Vernan Crookes Nature Reserve and Ilando Wilds are also close by. All of the reserves offer hiking trails through indigenous sub tropical forests. Unpack your walking boots and binoculars and take a leisurely stroll or a strenuous hike along one of these many nature reserve trails. Bird life is abundant with hundreds of various species. Small mammals may also be found e.g.. duiker, monkeys, mongoose and many more. 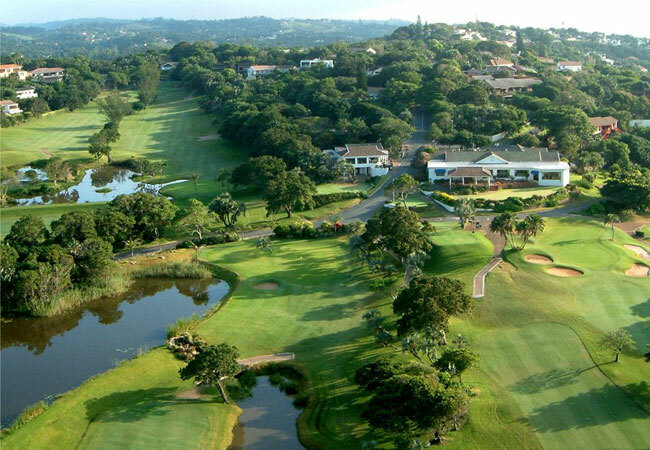 The Amanzimtoti Bird Sanctuary consists of a large expanse of open water surrounded by rolling lawns and gardens on one end and indigenous riverine forest on the other. An easy half hour self guided trail winds itself through the forest and is a haven for birdlife. From any of the three bird hides one has an opportunity of seeing many of the 150 bird species in the sanctuary, such as resident Spurwing Geese, White Faced Duck, Greenback Heron, Giant Kingfisher and Hamerkop.